Like Three Acre Paddock, these areas were too steep to be used by the nursery. This meant that they were available for planting early in the history of the Gardens. It's difficult to imagine this valley as an overgrown thicket when Sir Harold first arrived. It is now lined with Azaleas, Rhododendrons, Hydrangeas, Pieris, and many other plants. 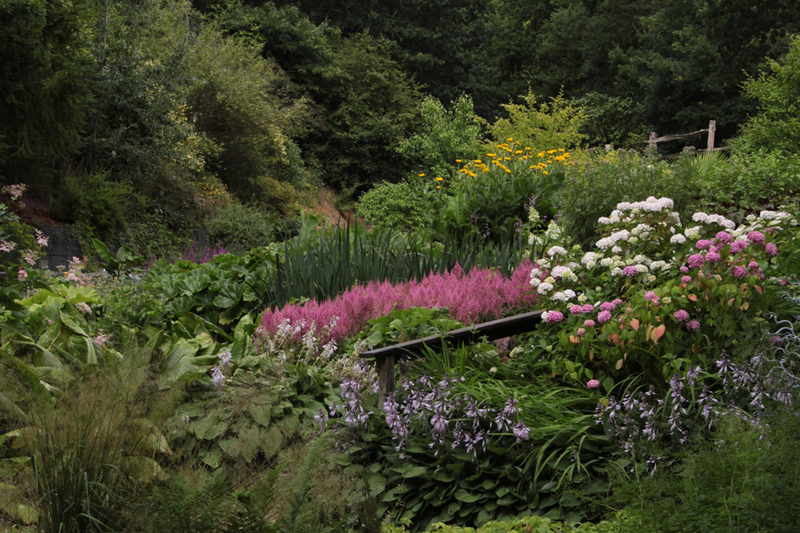 The Peat Garden was created between 1964 and 1966 by terracing the steep bank with peat blocks. The heavy clay soil was replaced with more free-draining compost. This made it possible to grow a wide range of ericaceous plants such as dwarf Rhododendrons. Our stunning all ability path leads from the pond and Himalayan Valley area up to Jermyn's House. We hope you will enjoy watching this area of the Gardens grow and develop. We are continuing to plant up the banks surrounding the path and ponds.